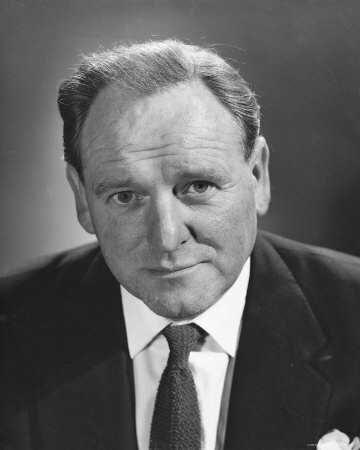 Thunderball scripts and related documents from writer Jack Whittingham and a Walther PPK that belonged to actor Bernard Lee are to be sold at separate auctions. On Dec. 11, “seven items from the personal archive of the daughter of acclaimed British playwright and screenwriter Jack Whittingham will be auctioned” according to a statement by Bonhams. Whittingham was the screenwriter employed by Kevin McClory in an attempt to make a James Bond film a reality. The project wasn’t successful and Ian Fleming wrote his Thunderball novel based on the material. A court fight ensued. In a settlement, McClory got the film rights to the novel. 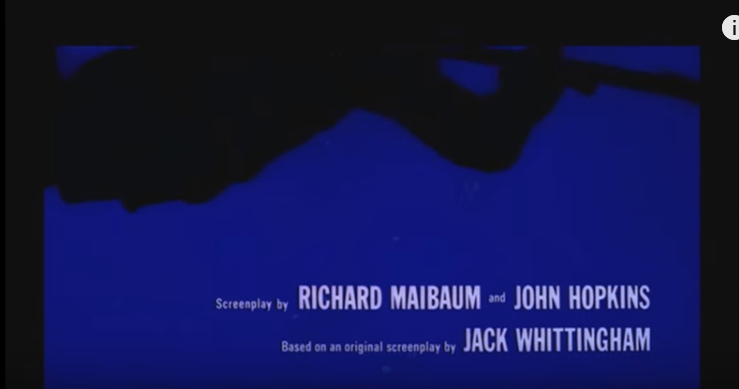 Eon Productions brought McClory into the fold for 1965’s Thunderball. 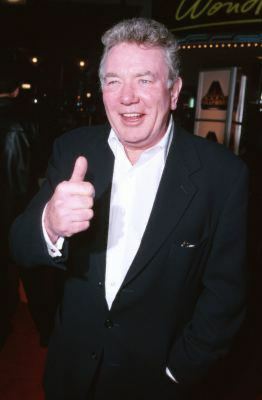 McClory was involved with competing 007 projects of which only one, 1983’s Never Say Never Again, was made. –A 35-page treatment dated Nov. 10, 1959 and titled James Bond of the Secret Service. –First draft script titled Longitude 78 West. –Letters and documents between Whittingham, McClory, Ian Fleming and others. The Walther PPK pistol was owned at the time by M actor Bernard Lee, who brought it on set when a prop was not available. A letter signed by Lee confirms the then fully-active gun was the “first ever to appear in a James Bond film”. Auctioneer Jonathan Humbert described the piece as a “superlative piece of British film history”. In the scene, M forces Bond to give up his Beretta .25 handgun (“It jammed on you last job.”) and take the Walther instead. The scene was a straight adaption of Fleming’s 1958 novel. UPDATE (1:20 p.m., New York time): On social media, some fans say the gun seen in Dr. No is really a Walther PP, not a PPK. As a result, they’re questioning how valid this item is. A website (new to me) called the Internet Movie Firearms Data Base states this as so. 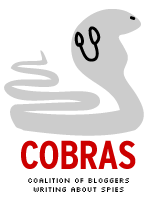 (The site looks similar to Wikipedia with a logo looking similar the Internet Movie Data Base). So if you’re thinking about bidding, Caveat Emptor. I have the feeling that explanation isn’t going to satisfy many, but there you have it. Steve Ditko, co-creator of Spider-Man and a key member of the Marvel Comics “bullpen” of the 1960s, has died at 90, TMZ reported. The Hollywood Reporter, in a separate obituary, said Ditko may have died two days earlier. Ditko co-created Spider-Man with writer-editor Stan Lee. He took over the assignment after artist Jack Kirby had taken on the project. 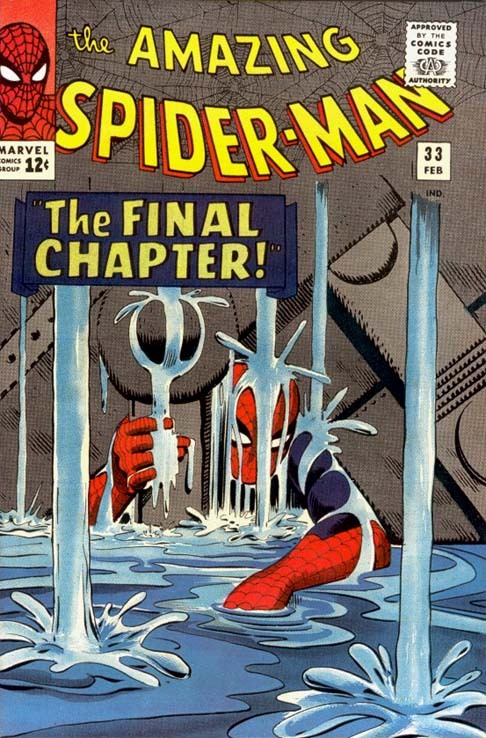 Ditko drew, and later took plotting credit for, the earliest Spider-Man stories, lasting from 1962 into 1966. The character has been the subject of six movies from 2002 to 2017, with another set for 2019. He also appeared in 2016’s Captain America: Civil War and this year’s Avengers: Infinity War. Spider-Man’s true identity was nerdy teenager Peter Parker. While other heroes were admired, Spider-Man was feared, thanks to publisher J. Jonah Jameson. Parker had to worry about making ends meet for himself and his aunt May. Things happened to Ditko’s Spider-Man that other heroes didn’t experience. In Amazing Spider-Man No. 25 (the first to carry a Ditko plot credit) Spidey was forced to ditch his primary costume. But Aunt May also found his spare costume. Peter came up with an explanation but May kept the costume. In the next issue, Peter buys a costume but it gets stretched out. He’s forced to use his webbing to keep it in place. The artist used the first five pages to depict Peter working up the strength to lift the steel. The final page was a full-page panel where Spider-Man finally throws off the steel. In later interviews, Stan Lee acknowledged the idea was Dikto’s. Lee likened his scripting to doing a crossword puzzle to come up with the right dialogue and captions for the moment. The sequence was adapted in 2017’s Spider-Man: Homecoming. 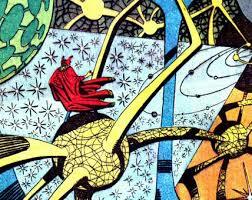 Ditko also created Dr. Strange, who had his own Marvel film in 2016 and who also appeared in Avengers: Infinity War. The artist also also helped to revamp the Hulk when that character (created by Lee and Jack Kirby) got revived in the mid-1960s (in Tales to Astonish) after an initial comic title of his own was canceled after six issues. In the 1960s, Ditko’s politics were far different, and much more conservative, than his many college-age fans. The artist was an admirer of author Ayn Rand, and that influenced much of his post-Marvel comic book work with characters such as Mr. A. In 2007, British television show host Jonathan Ross reported a documentary about the artist. The program went into detail about how much Ditko extensive contributions to the early Spider-Man and Dr. Strange stories. Ditko abruptly quit Marvel after clashes with Lee. He’d eventually return but it wasn’t the same as his 1960s stint. As news of Ditko’s death spread, there were tributes by comics professionals influenced by the artist’s creativity. Alert: What follows is just for fun. The blog wanted to make that clear following last weekend’s fiasco in The Mirror. So, Bond 25 has some momentum following last week’s announcement of a 2019 release date. That announcement left a number of issues unresolved. 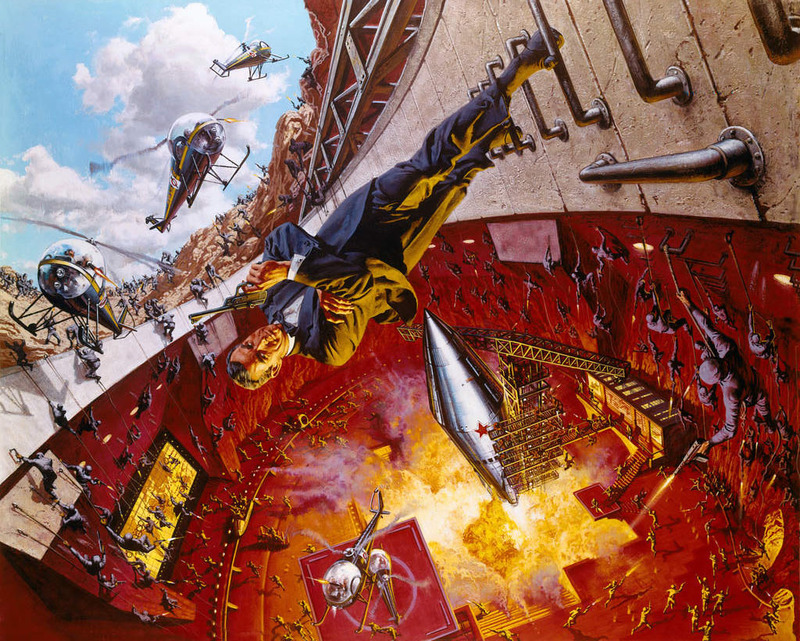 Channeling M in You Only Live Twice (“Mind you, all of this is pure guesswork, but the PM wants us to play it with everything we’ve got.”), here’s a quick look with more than a little guesswork. Status of the story: The release date announcement also said Neal Purvis and Robert Wade were working on Bond 25’s story. That confirmed a March story by Baz Bamigboye of the Daily Mail. Thus, that story now becomes “news that hadn’t been announced yet” from the rumor category. But how far along are Purvis and Wade? It depends on how long ago they were hired. It has been almost five months since Bamigboye’s story. Guess: They’ve had enough time to come up with a treatment, perhaps even a full first draft script. If it’s the latter, that’s just the start. But it’s certainly a possibility. Status of Bond 25’s distributor: Sony Pictures has distributed the last four 007 films. But its most recent two-picture deal expired with 2015’s SPECTRE. Metro-Goldwyn-Mayer, 007’s home studio, can’t distribute films on its own. Unless, of course, MGM is feeling bolder seven years after existing bankruptcy. With that in mind, it’s a natural question whether a Bond 25 distributor has already been selected. Eon Production made the most recent announcement. But it has no distribution operation. It doesn’t finance its movies. The fact Eon made a release date announcement suggests a deal is in hand. We’ll see. Status of Daniel Craig as James Bond: Craig is 49. Here’s the precedent involving actors in their late 40s/early 50s playing James Bond. 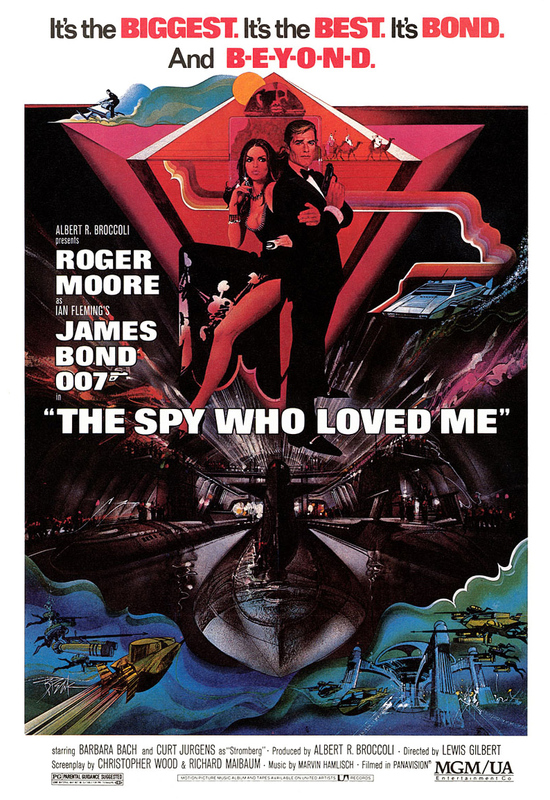 –Roger Moore was 49 when The Spy Who Loved Me was released. He came back for four more movies. Sometimes the negotiations went down to the wire (and potential replacements auditioned). But he was 58 when his final 007 film, A View to a Kill, was released. –Pierce Brosnan was 49 when Die Another Day came out. He said on talk shows he had an offer for a fifth Bond outing. It didn’t happen that way and Daniel Craig replaced him. 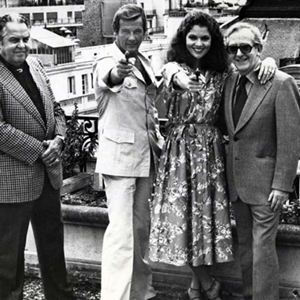 The thing is, Brosnan was the final Bond selected by Eon co-founder Albert R. Broccoli. Craig was the first Bond selected by Eon’s Barbara Broccoli and Michael G. Wilson. Sometimes, it’s hard to let go. That’s true even if it contradicts your previous public statements. The guess: Craig stays for Bond 25. Status of the director: This is one category the blog won’t guess. It really depends on what Eon boss Barbara Broccoli is thinking. Amid the announcement that Bond 25 has a release date, the Birth.Movies.Death website dropped the idea that the Broccoli-Wilson clan might sell out its interest in the 007 enterprise in a few years. The post, by Philip Nobile Jr., mostly looks at why the fall 2019 release date was announced without saying whether actor Daniel Craig will be back as Bond. On the less official front, I have read thoughts from someone I believe to be close wth the production that the Broccolis are looking to do one more Bond then sell the franchise off, a la George Lucas/Star Wars/Disney. If that comes to pass, it will be interesting times indeed for Ian Fleming’s gentleman spy. Read thoughts? Interesting phrasing. But, on Twitter, Nobile’s post drew a response from the James Bond MI6 website, which previously disclosed that a helicopter Eon purchased wasn’t for Bond 25. Putting the Caveat Emptor on this one because Birth.Movies.Death isn’t explicitly reporting it as well as the unusual phrasing of the post and the exchange on Twitter. 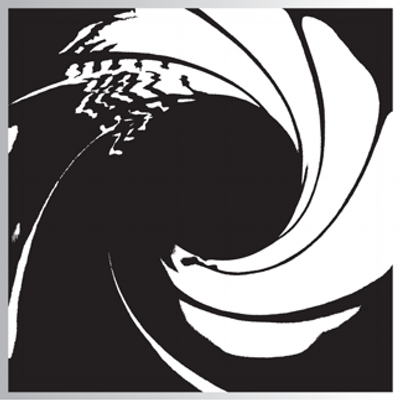 Eon and its parent company, Danjaq, jointly control the Bond franchise with Metro-Goldwyn-Mayer. Disclosure: This blog’s webmaster has written two articles for MI6 Confiential, which is published by the James Bond MI6 website.